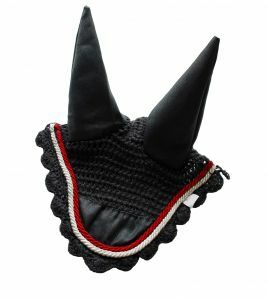 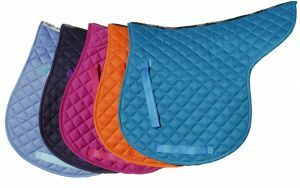 This saddle pad features a cotton outer, wave stitching pattern and wickable waffle fabric lining. 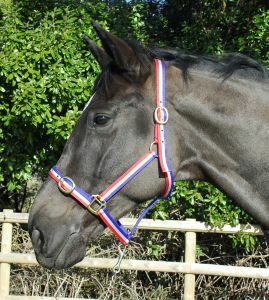 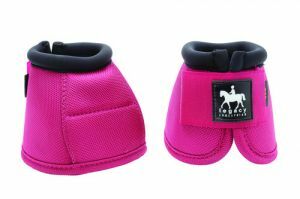 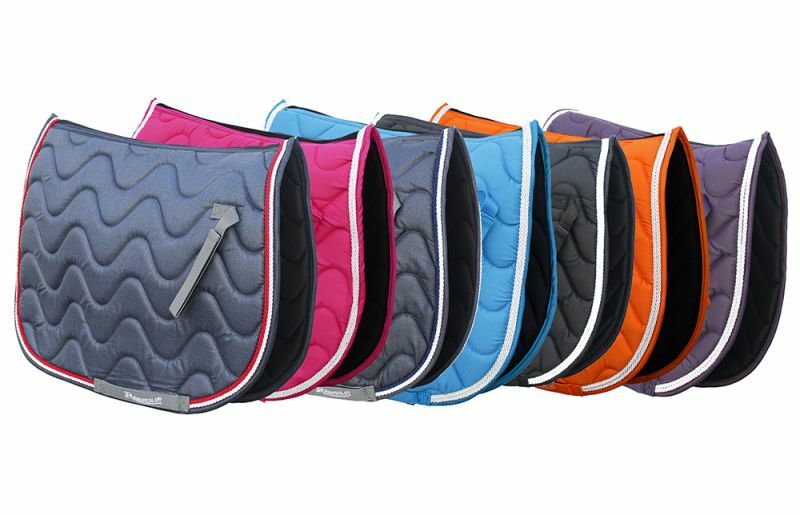 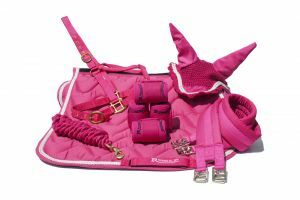 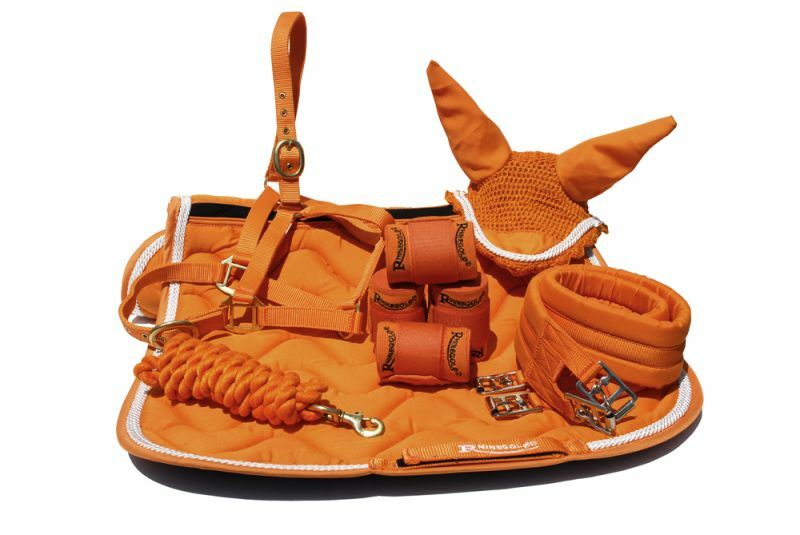 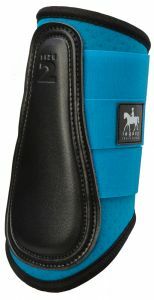 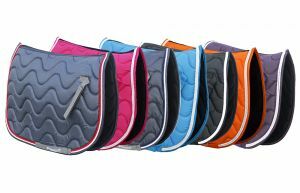 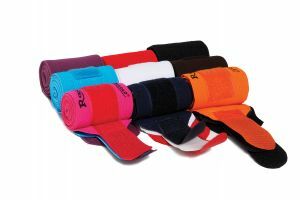 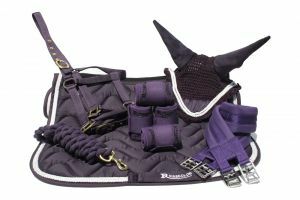 With a ventilated waffle material spine for the Horses comfort and Velcro closure girth placement straps. 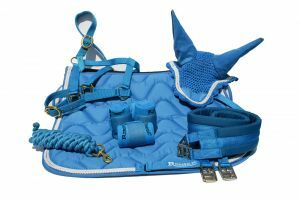 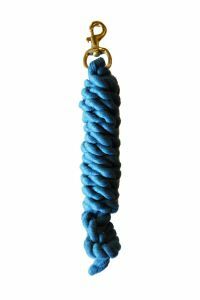 Finished with twin satin finish rope bindings and embroidered branding.